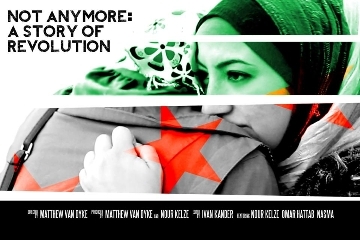 A 15 minute documentary film about the Syrian struggle for freedom as experienced by a 32 year old rebel commander, Mowya, and a 24 year old female journalist, Nour, in Aleppo, Syria. The film clearly and concisely shows why Syrians are fighting for their freedom, told through the emotional words of two powerful characters whose lives have been torn apart by war. ADVISORY: This film contains images of war, violence, and death, and is not suitable for all ages.